The first and the foremost step in treating any kind of injury is to cease blood loss. Though our body has its own mechanism to stop blood loss through formation of blood clots. But during severe injuries, our body struggle to stop blood loss and excessive blood loss is life threatening. Therefore, scientists are researching to find new ways to minimize blood loss during injuries. A New York based company known as Suneris has finally developed a plant base bioresorbable gel that can stop bleeding within seconds. 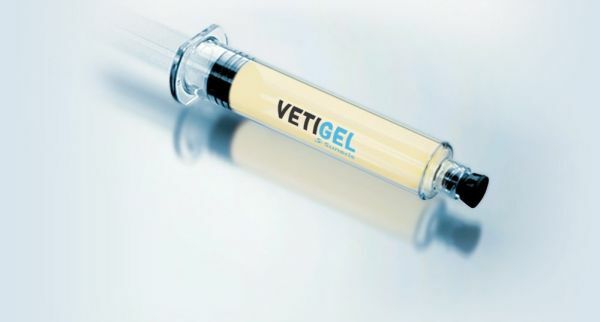 The innovative gel technology called as VetiGel is actually a plant based polymer that works in line with the body’s natural healing process to form blood clots. Suneris Co-founder and CEO, Joe Landolina is the one behind the idea of developing a polymer technology for controlling bleeding. The polymers of the gel work in harmony with the body’s cellular clotting signals and speed up hemostasis process. The technology is fastest in controlling bleeding than any other available method in the market.The polymers of the gel work in harmony with the body’s cellular clotting signals and speed up hemostatis process. The technology is fastest in controlling bleeding than any other available method in the market. The gel technology basically enhances three conditions of hemostasis to control blood loss quickly and effectively. The gel when applied on the injury site, encourage clot formation by holding pressure in the ruptured blood vessel. Next the gel stimulates aggregation of platelets at the injury site, forming a mesh of platelets. Lastly the gel achieves a stable clot formed by the binding of fibrin, clotting protein to the existing platelet mesh. The gel is adhesive in nature and thus remain at the injury site, eliminating any need of manual pressure. This allows the plant derived polymers of the gel to work with injured cells to begin and expedite hemostasis cascade. Suneris has also created a polymerizing agent that improves the lastingness of gel technology. Once the gel applied on the injury forms blood clot, the polymerizing agent is sprayed that helps in rearranging the gel components to form a solid mass. In short, the polymerizing agent makes the clot strong & long lasting, safeguarding the injury from outside elements and when required the clot can be removed easily for further treatment. The trails have shown that the gel accelerates the clotting procedure for minor injuries such as superficial cut as well as in organ level major injuries. 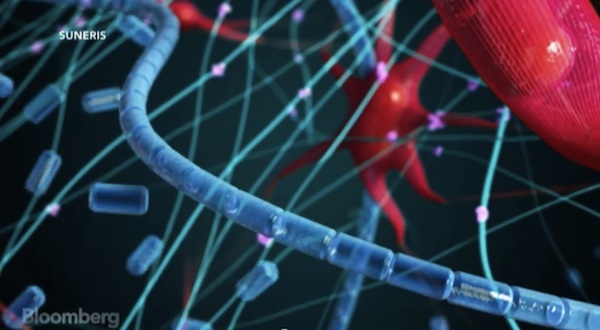 The gel therefore can be used for surgical procedures and traumatic injuries. However, the VetiGel engineered so far is not for sale and can be exclusively used by veterinarians to cease internal and external bleeding. The best part of this gel is that it requires no preparation and no fancy storage. The gel is available in the form of one time use syringes that can be stored at room temperature. There is absolutely no need for any training on how to use or apply the VetiGel. Most importantly, the gel and solidifying agent even when stored for long duration and under a range of temperatures works effectively to achieve the desire result. The company plans to create FDA approved VetiGel that can be used for humans. Once it gets approved, we can place the gel in our first aid boxes, in ambulances, in the medical kit of soldiers and also in every mother’s purse. The technology in the future will help save lives and will capture nearly 80 percent of the wound care products as antiseptic gels, bandages and gels.